How safe is Poloniex’s cryptocurrency exchange platform? Are the owners known & active in the crypto community? During this Poloniex review you will learn how this once insignificant substitute exchange gained user-trust, innovative functionality, and subsequently swallowed its competitors’ market share. From full customer refunds after a minor security breach, to a successful infrastructure redesign, and a bit a sheer luck, it’s no secret that Poloniex’s history is a pretty interesting read. Poloniex is a crypto-to-crypto global exchange operating in the US. It registered with the Financial Crimes Enforcement Network (FinCEN) as a money service business (MSB) on August 29, 2016. However, it has been operational since January 2014. While the bureau lists the location of exchange’s offices in Wilmington, Delaware, research shows the address belongs to an agent. Little information is available online—including on the company’s website—about ownership. On LinkedIn and company profiling website Owler, someone named Tristan D’Agosta identifies himself as the founder and CEO of Poloniex. According to information he shares on these pages, D’Agosta is a music composer and a former freelance writer with a Bachelor of Arts in music from Rutgers University. One of the biggest pluses of the Poloniex exchange is the wide range of coins it offers. At time of writing, Poloniex supports the following coins and also supports BTC pairing, USD pairing, ETH pairing, Monero pairing, and USDT pairing. Poloniex is favoured by many serious crypto traders and it’s easy to see why. No known physical offices. Perhaps a security precaution – but still a big negative for trust. As with all centralised exchange audits, I would like to remind readers of this Poloniex review that the exchange controls all private keys to the wallets holding your cryptocurrencies. The exchange assures users that it stores much of their deposits in offline “air-gapped” cold storage. It offers 2-factor authentication for account holders, as well as browser recognition tools. While Poloniex’s promises of security may be based on sound capacity, users must trust that the measures in place are tight enough and that individuals in charge of funds are honest. In 2014, the exchange suffered a minor security breach where 12% of all customer bitcoin deposits were stolen. In an unprecedented move (at the time), a statement was issued assuring users that all funds would be reimbursed. Poloniex carried through on its promise to reimburse its affected users several months later. As the Bitcoin project itself has shown, lack of information about a founder is not always a sign of bad intent. However, as a precaution, it is advisable to keep on the exchange only as much value as you need to lend, trade or exchange at any given time, especially considering Poloniex is a centralised platform with a high custodial risk. As with all centralised exchanges, you should always send whatever funds you don’t immediately need on the platform to a wallet you control. Since Poloniex accepts only crypto deposits and withdrawals, it is one of the cheapest exchanges to use. This is due to the fact that the exchange doesn’t support “traditional” deposit methods (via fiat currency), which are more costly than cryptocurrencies – due to extra regulatory requirements, KYC vetting and interbank fees. Both the person putting up an offer to buy or sell (the maker) and the person picking and accepting an offer (the taker) pay transaction fees. Generally, a maker pays fewer fees in a transaction than a taker. Maker fees range from 0% to 0.15%, while those for the taker range between 0.05% and 0.25%. In both cases, the higher the amount involved in a trade, the lower the fees paid. Maker and taker fees apply to both the exchange and the trading platform. Lending fees are set by those putting up their funds for borrowing. Since the market is competitive, the lower the interest a lender charges, the more successful they are at having traders taking their offers. Nevertheless, average loan offers on the platform charge at least 0.2%. From the lender’s earnings, Poloniex will take 15%. The Poloniex interface works nicely, except when the site is under strain from DDOS or legitimate peak trading times. “Un-cached” users are greeted by a standard Cloudflare “checking your browser” page. Such pages are widespread among crypto sites and are used to filter=-out botnet and malicious traffic. In 2015 the whole interface was very successfully redesigned. There are many positive Poloniex reviews mentioning how nicely the website presentation has come along since 2014. The overall user experience is close to that of Bittrex or Kraken – though slightly more intuitive then the latter. You could even compare Poloniex to Shapeshift, except you’ll need to sign up to Poloniex while Shapeshift allows guests to trade without registration. Choosing a pairing, however, is not as straightforward as Shapeshift. You may have to work to find the page from which to choose your pairing. A common complaint from users is that it takes a long time for deposits to reflect in the user account. Users have also reported a few cases of coins sent but never showing up in the receiving account. Further, many users accuse the exchange’s customer support of poor and slow response to complaints. Some have reported that tickets sometimes take months to resolve. Signing up for an account on Poloniex is easier than on most other major digital asset exchanges. While it observes some level of Know Your Customer requirements, the process is less stringent partly due to the fact that the exchange accepts only crypto deposits. Users are only allowed one account, and registering more than one could result in suspension or expulsion from the platform. Each account, however, offers exchange, trading and lending services. You automatically have access to all three services when you sign up for any of them. The exchange service facilitates the movement of value from one crypto to another. On the other hand, the margin trading service enables you to leverage your cryptos and earn gains from price changes. If you are risk averse but still want to make a profit on the platform, you can put up your cryptocurrencies for others to borrow and trade with. In exchange, you will receive a guaranteed interest rate. When you engage in margin trading, you essentially have access to the three sections available on Poloniex. You access exchange, a margin trading and a lending/borrowing section. You can borrow funds from the lending section to invest through the margin trading section. In the event you want to move your value to another type of crypto, you will need to use the classic exchange section. It is also through the exchange section that you make deposits. When compared to trading platforms such as Coinbase Pro (formely GDAX), or Bitstamp/Kraken, I feel that Poloniex is the easiest to start using. Once your signup is complete (this takes less than five minutes) you are ready to deposit and start trading. The most differentiating feature from the rest of the trading platforms, however, is the fact that Poloniex offers more risk-averse crypto holders the option of lending out their coins. In addition to the three sections separated according to function, Poloniex also offers three levels of account verification. You get the first level of verification by providing an email address, your name and country of residence at the signup stage. The level one verification allows you a daily minimum deposit and withdrawal of $2,000 worth of cryptos. You can exchange, trade and lend with this level of verification, with the only limitation being how much you can deposit and withdraw daily. If you need to have your daily limits increased, then you will have to apply for level-two verification. You will do this by providing a physical address, postal address, phone number, date of birth and passport ID. Along with the application, Poloniex requires you to upload an ID photo and a passport photo. With approval, your daily limit for deposits and withdrawal grows to $25,000 worth of cryptos. You can get an even higher level account with a limit that exceeds $25,000. You apply for this level by reaching out to support. The deposit and withdrawal limits Poloniex offers are a bit higher than you will get from accounts on Coinbase, Kraken and Bitstamp. To summarise, Poloniex is a decent, time-tested exchange which boasts cheap fees and a comprehensive trading console, though one that may be a tad intimidating for new users. Unfortunately, accounts cannot be funded using fiat currencies so BTC or any of the many coins offered on the exchange must be purchased elsewhere and then deposited into your Poloniex account. Overall, Poloniex seems like a solid exchange that’s secure and reliable. Am January 15, 2018, I made a currency withdrawal from exchange – 20000 DGB (Digibytes) . 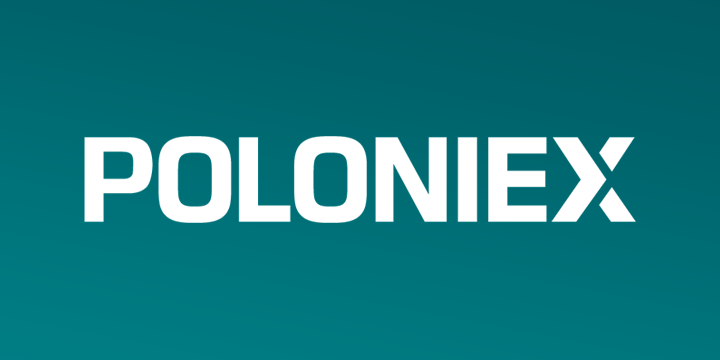 An entry in the Poloniex Financial Statement – Complete . However, digital assets do not reach the goal. The cryptocurrency is not transferred . TxID doesn’t show on blockchain . In that way, my currency was taken over . Ticket #712795 is still not resolved . Poloniex support is not working (the problem not resolving ). The new owner “Circle” refers to a poloniex support that does not work . The core of poloniex business is deception of customers . POLONIEX – CRIME organization . I made the mistake of not doing my due diligence on poloniex. I signed up using their exhaustive verification process and never received any confirmations after submitting quite personal information. I also subsequently submitted support ticket regarding the matter with no response as well. Hopefully the information disappeared into the ether, but I remain very suspicious. AVOID POLONIEX. Apparently they have stolen my coins. And stolen coins from hundreds of others. I made a deposit to the correct address and nothing has appeared in my account. I have full documentation including screenshots of the entire process and 100’s of confirmations on the blockchain. The deposit does not show up in my account after several weeks and Poloniex does not even acknowledge support tickets. I posted the full documentation and have requested updates, but not even a single response from Poloniex. I made a complaint the the Better Business Bureau, but the the BBB says they cannot get in touch with them and it appears that they are out of business. POLONIEX seems to be a SCAM. Just search POLONIEX SCAM and you will get a very large number of hits. I don’t know why the authorities have not shut this down yet. People should be going to prison over this. And it continues.. BEWARE DON’T USE POLONIEX. where my coin ? its been 2 weeks already pls stop taking peoples money. POLONIEX is a criminal organization. Wow, this place has interesting reviews. I’m glad I read these as I will never use Poloniex. Has anyone but me had their BTC stolen while using Poloniex and then got no response when desperate for help? It took them 4 months to respond to me and the only reason they did is because I was able to locate the attorney that represents Poloniex. Of course I was told it was my fault and that they were not responsible. They even went so far as to blame me for logging into a fake Poloniex website. This is unbelievable! I am going to offer this information on as many forums that I can involving Poloniex and based on your responses I am considering a class action lawsuit. It’s not so easy to sweep a group of people under the rug as it one person. I am prepared to offer up Poloniex attorney information. Just trying to determine my next steps. Who is the attorney that represents them? Eager to get my issues resolved! Need more people on the support. My ticket has 30 days pending. its not convenient to to wait without any indication. Poloniex are notorious for not answering support questions. I think they missed the opportunity to reassure the community and bring on more agents. People have left and sought out other exchanges with better customer support response times. I am having difficulty withdrawing my small amount of XRP. The box instructs me to insert a ‘Destination Tag. (as well as expected address and amount). What is a Destination Tag?. I cannot get a response. I am being ignored. Bad customer service for such a simple question. If huge volumes are the reason for a lack of response, then why not say so!. Otherwise, I fear for my XRP. I cannot create a ticket at poloniex. I cannot access my email anymore due to a spammer who took over my account so my provider deleted it. I need to ask for changing my email. Any suggestion ? my poloniex account was hacked 43 days ago(25th September 2017), I request to lock it because hacker try to withdraw my BTC but failed due to timely action of me to freeze my account, I reported everything on poloniex support but their support is too much poor that my account is still locked and they just reply me 2 times with general words that “we are looking into matter”. What the hell is that support. can any body help me in this case? Coinmama and Poloniex are definitely going to maintain their popularity. While Coinmama provides a very easy way for new and old BTC enthusiasts alike to buy more using debit and credit cards, Poloniex keeps the whole world of cryptocurrencies spinning (despite their loss of millions of customers because of withdraw issues). This is the central marketplace for trading and exchanging digital currencies. Furthermore, this exchange can keep their fees low thanks to the fact that they don’t deal with fiat currency. Until regulators find a clear framework regarding cryptocurrencies alone, Poloniex can keep their user base happy with the current costs. Then again, the mystery behind who owns and runs the biggest exchange is a good and bad thing. On one hand, there is no danger for them to suddenly be raided or put in physical danger. On the other hand, trust is hard to get if people don’t even know the names of the people behind the exchange. How can Poloniex improve trust among the community while remaining relatively anonymous? Well, I think that the trust of people toward Poloniex will remain (and even increase) even if they do not reveal who the people are behind the exchange. As noted in the Poloniex analysis, this is the biggest Ethereum exchange that also serves as the best place to look for trendy coins. Yes, we do now know who the founders are, but we can be confident that they are good at what they are doing. They are hidden, yes, but they also seem smart. Just look at the various Poloniex advantages: open source trading interface code, highly detailed charts and tools, and support for more than 70 cryptocurrencies. Combine that with low fees and active community reps identified through this Poloniex inspection, and you get a feeling that the people behind it are doing whatever they can to keep their users happy. While this article notes that having no known physical offices will count as one of the Poloniex disadvantages, this can also be a strength. The exchange is quite powerful now, especially financially, so I’d argue that they do need some privacy. Please please please take my word for it – Poloniex has ZERO support, NO feedback, NO contact details, NOBODY to help you AND you will most certainly have your hard earned investment perform a Poloniex disappearance trick ???? Please look for a reputable trading platform and stay far away from this INCOMPETENT bunch!! You’ve done an interesting review of Poloniex with certain features I was unaware about. Their site is very user friendly but God forbid you run into problems with them. The support is basically non-existent and even several messages to them solicits zero response. You could be out of pocket for a long-time. I would be very surprised if they are still around in a year or two from now. Probably the poorest service I have ever experienced in my whole life. My account was hacked 10 days ago. Lost over $1200 and to this dates have not had any response for customer service other than the standard email stating I had opened a support ticket. At that time I activated 2-factor authentication. Then today I was notified that my password had been changed. If their security is up to snuff how did anyone access my account. As far as I’m concerned Poloniex is crap and everyone BEWARE before using this service or trust your money there. I am so sorry for your loss – I have further bad news for you – I have been waiting 54 days without any response from Poloniex or their incompetent staff – I am 100% convinced that my personal loss of over USD $55,000 was an inside job by Poloniex themselves!! I had a proper passwor, 2nd factor was active (Google authenticator) and kept my daily limit to $2000 per day. I agree with you Robert they are a very crap company indeed ???? Oh my god… $55,000?? How did you lose that money, and did you contact an attorney or law enforcement to get your money back? What the news on these withdraw problems with Poloniex accounts? I tried taking bitcoin out yesterday and i had no trouble at all. Are people still experiencing difficulties getting money out of this exchange? You’ve done a professional Poloniex assessment which give all the information any new user would ever need ????????. I loved reading up the advantages and disadvantages. I used to use Poloniex every day in 2013 and 2014. Now in 2017 I’m using Yobit which is similar to Poloniex (but has less downtime and withdraw problems). Most of the largest cryptocurrency exchanges have been known to do exit scams of some sort. Could a shutdown happen to Polo? We don’t know the operator, so what’s he got to loose by running off with all the hot-wallet funds ????. Since many people are now using Bittrex as an alternative to Poloniex, I’m sure that this time no one will loose money if things go pear-shaped. From my experience, DO NOT REGISTER WITH POLONIEX. I got some funds transferred to Poloniex and, after I was done trading, I placed two withdrawal orders, which were confirmed an hour later on the exchange history. Turns out the transaction IDs Poloniex gave to the transactions DO NOT EVEN EXIST in the BCN blockchain. Poloniex seems to have FAKED the two transactions, and now the funds are nowhere to be seen. If you haven’t seen the comments on Reddit and other forums about Poloniex, their service is just terrible. I contacted them and I was told that, if I wanted to receive the funds back, I needed to deposit 0.1 BTC to the account, so the system would make the original BCN refund automatically. So, if I want my money back, I need more money… Sounds reliable to you?